In response to the escalation of crime Ambergris Caye has experienced in the past months, the Ministry of Defense deployed a joint operation team consisting of the Belize Police Gang Suppression Unit (GSU) and the Belize Defense Force (BDF) to render aid in San Pedro Town. 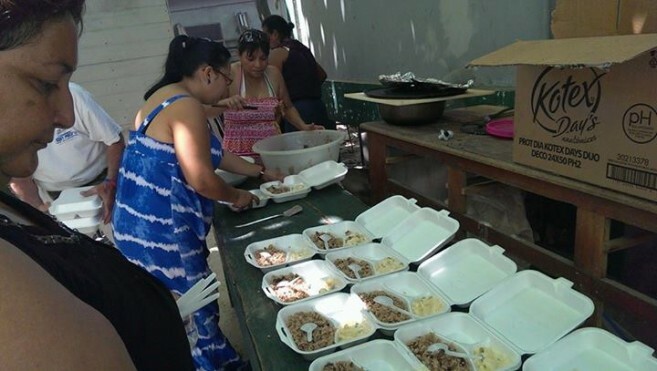 Footprints for Peace, a community based anti-crime initiative organized by the Eiley and Arceo families, who recently lost their beloved Jeffrey Eiley in the rash of crime and violence, decided to thank the officers by orchestrating a feeding program. Even though the officers were provided with a meal plan and budget for their time on the island, Footprints for Peace wanted to offer the team hot home cooked meals to show the community’s appreciation for the officers who worked hard to "clean up the town". 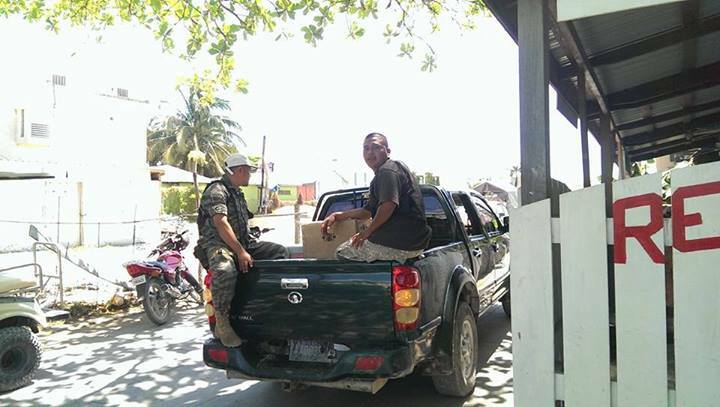 The effort received donations from the community in both monetary and food items in order to feed the officers. Footprints for Peace fed 52 officers on Friday March 21st, and were also able to provide them a second meal later that evening through the generous contributions from the Youth Services Department that held a youth rally at the San Pedro Lions Den that same day. With the remaining food items and supplies received from the community, Footprints for Peace also provided a meal for our island police officers on Sunday March 23rd. In addition to the community and several anonymous donors Footprints for Peace would like to thank the following people and businesses for their generous contributions:, Mr. and Mrs. Claudio Azueta, Sunrise Realty, Ruthie Rinehart, Victoria House, Mel Paz, staff of the Palms, Mr. And Mrs. Gonzalo Munoz Jr., and The San Pedro Sun. We thank the committee of Footprints for Peace for their generous contributions to our island officers. Little Angel’s Pre-School Graduates 49!